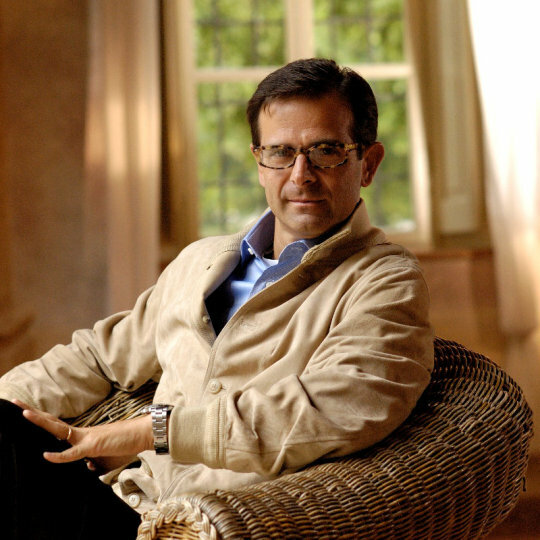 The best clothes are often just as much about how the make you feel as how they make you look. And few things will make you feel more badass than a leather jacket. 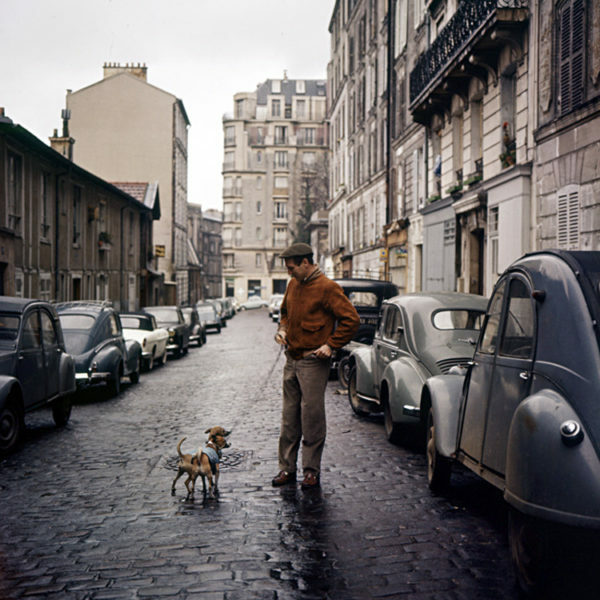 Over the years, they’ve become emblems of rebelliousness and black sheep individualism, thanks in part to style icons such as Marlon Brando and Sid Vicious. Whereas leather jackets started off in the early 20th century as functional garments that protected wearers from danger, by the end of the century, they were symbols that signaled the wearers were dangerous themselves. I wrote a post three years ago breaking down leather jackets into three broad categories – rugged, contemporary, and conservative. Those are good starting places, I think, for guys trying to figure out which styles work for them. 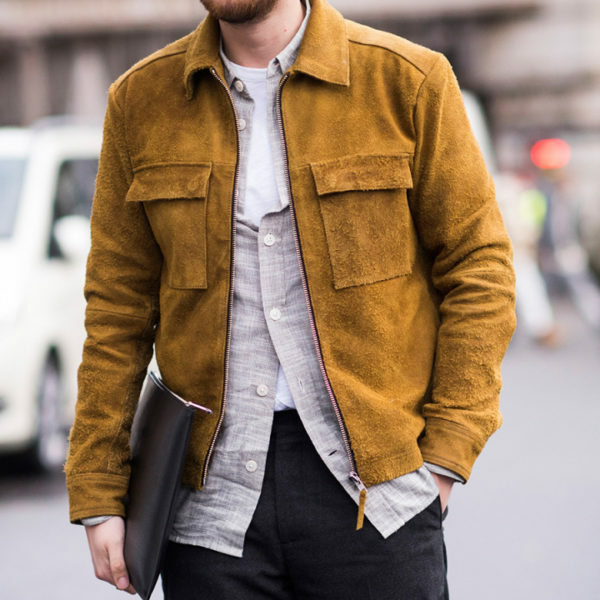 If you’re still feeling tepid, another solution is to start with something in suede, which is literally and figuratively the softer side of leather outerwear. Take even your most rebellious styles, such as black double riders, and they suddenly become more wearable if they’re built from napped leather. Less Hells Angel biker; more stylish dude in cool clothes. 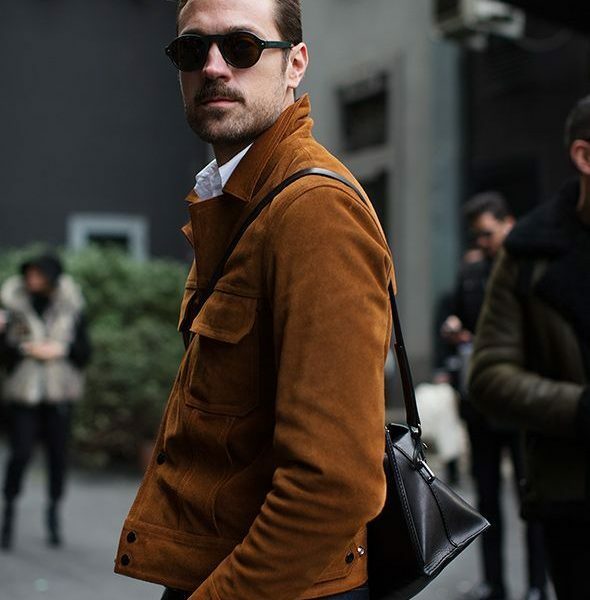 Trading a traditional leather jacket for suede isn’t without its downsides. For one, suede is a lot harder to keep clean (which was the premise for this hilarious Seinfeld episode). 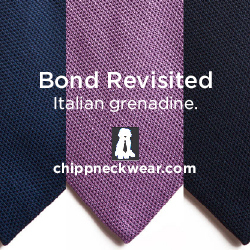 Particularly in lighter colors, scuff marks and dirt will show up in high-fiction areas, such as the cuffs and collar. And should you be careful enough to avoid dirt, suede will still naturally lose its nap over time, which will leave a bit of a sheen. There isn’t really much you can do about this, although some care techniques will keep your jacket looking its best. 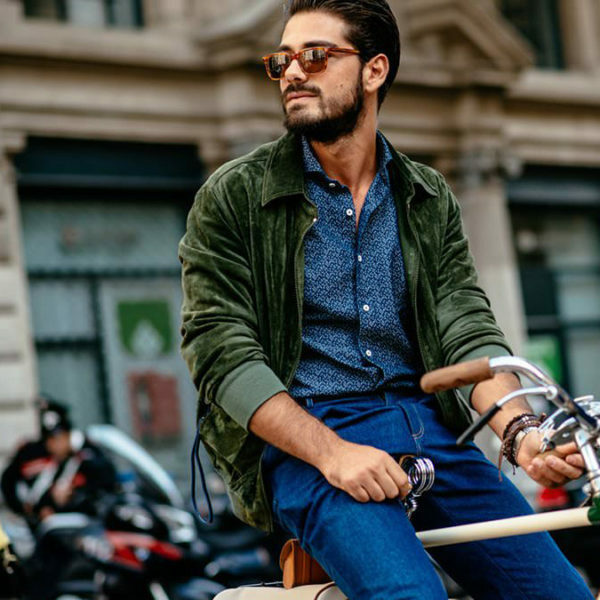 When you first get a suede jacket, consider treating it with a non-silicone-based waterproofer, which will help repel bigger stains (e.g. splatters from saucy burritos or coffee). Just be warned that sometimes waterproofers can clog up and “spit” onto your clothes, which will create their own marks (spray carefully and at your own risk). For superficial stains, you can also try spot cleaning with a suede eraser, brush, and specially formulated shampoo. Unscented baby wipes can also help keep things looking fresh. Even the best care techniques, however, won’t prevent the inevitable, so the best solution is to get something you’re fine with aging. 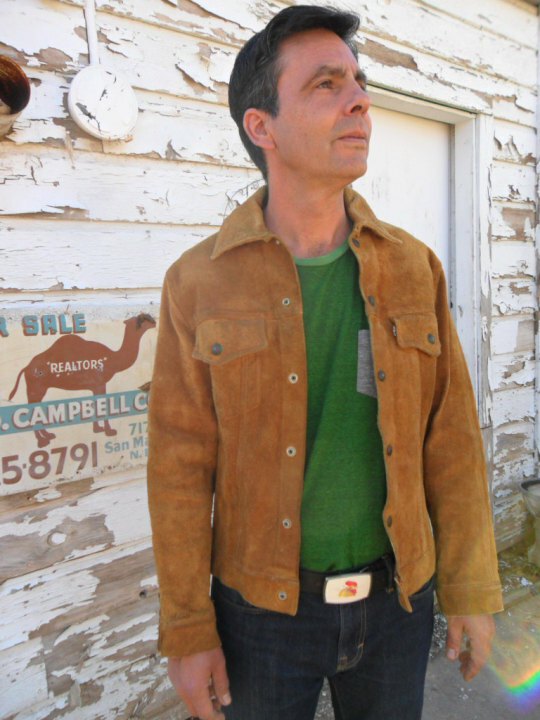 A rugged, dark brown suede jacket from Levi’s will fare better over the years than a dressier cream suede jacket from Loro Piana. 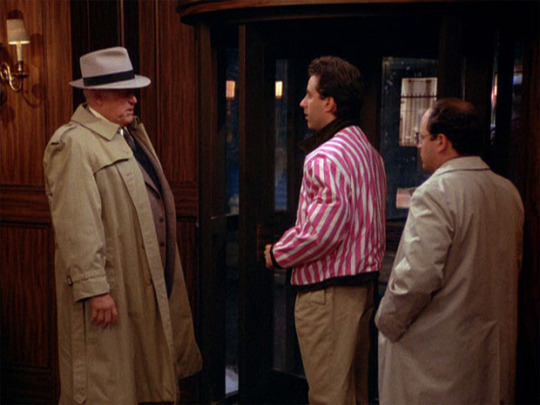 And should something happen, you’ll want to bring your jacket to a high-end cleaner that knows how to work with leather. I’ve had great results through Rave FabriCARE, who will not only take out tough stains, but can also dip your jacket a special protective formula to prevent future issues. Other specialty cleaners include Modern Leather Goods and Superior Leather, although I have no direct experience with either. 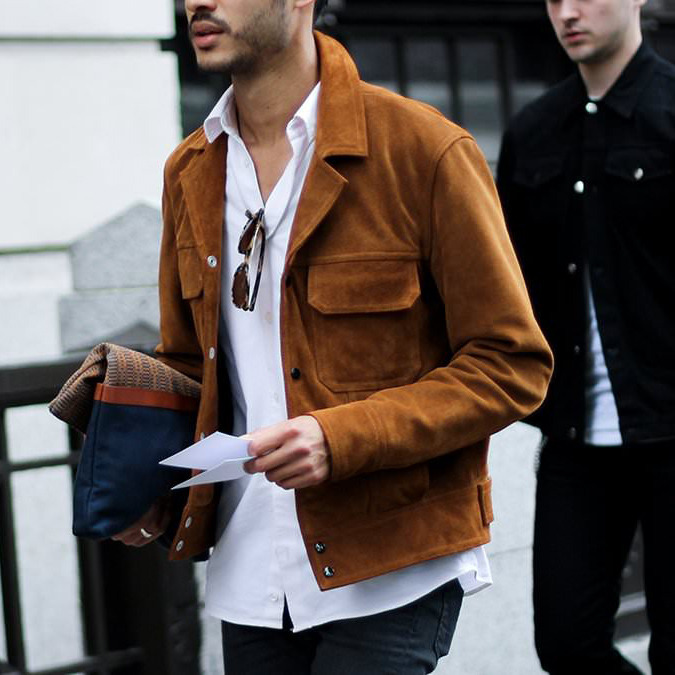 Just note: cleaning a suede jacket is expensive, so be prepared for some non-trivial costs. 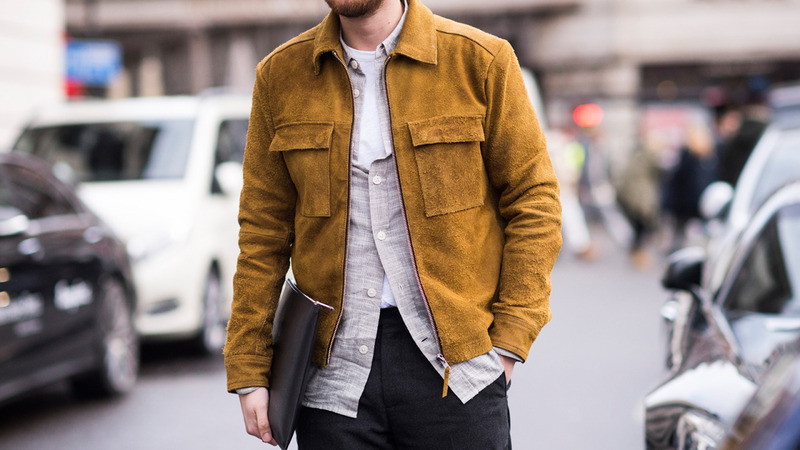 Regular leathers will always be easier to maintain, but a suede jacket can be unique and easier to wear. If you’re up for trying something this season, here are seven models that will work across a range of wardrobes. Levi’s Suede Trucker (~$350): For affordability, nothing beats Levi’s suede trucker jackets. 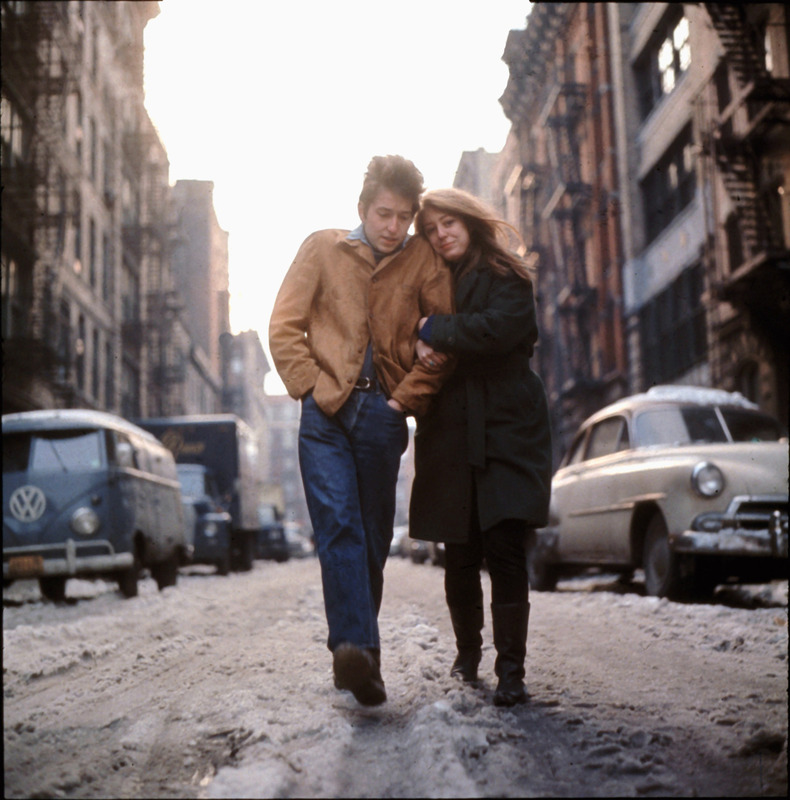 The denim versions were originally made for laborers, but during the 1960s and ‘70s, they became part of American counterculture. The denim trucker jacket has been worn by hippies, rockers, activists, and bikers alike – helping cement their status in classic American casualwear, much like five-pocket jeans and military surplus jackets. 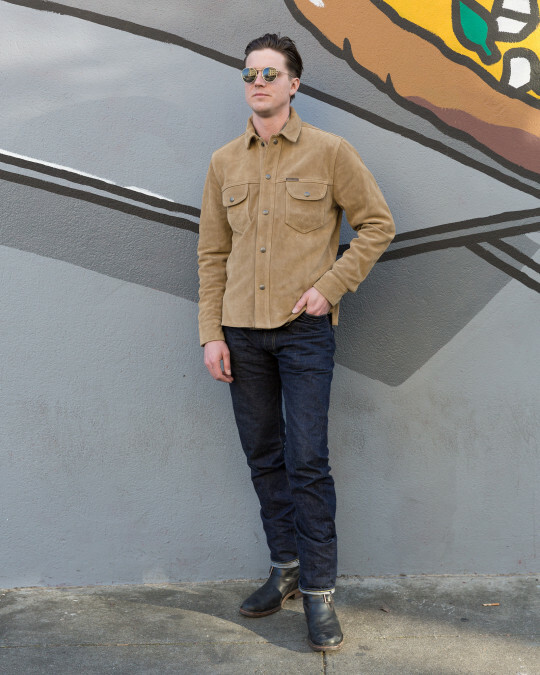 Levi’s usually does their suede version in this goldenrod tan color you see above, along with a matching suede or contrasting dark brown leather collar. Brand new, they can run for a hefty $1,000, but they’re also not hard to find second-hand. The design has been around forever, so places such as Etsy and eBay are littered with vintage models for about $350. So long as the jacket doesn’t smell bad (again, leather can be expensive to clean), I think scuff marks here add character. Alternatives: dark blue version from Jigsaw this season for $515 (although they’ll only deliver within Europe), as well as turquoise models from Levi’s Vintage Clothing and Gieves & Hawkes for a pricier ~$950. 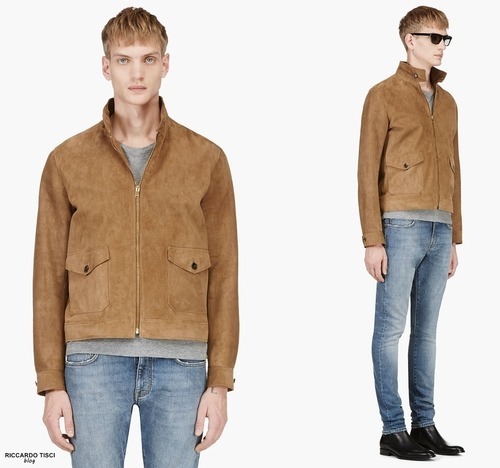 Sandro also has a handsome tan suede jacket for $995. More of a ranch style work jacket than trucker, but pretty similar. 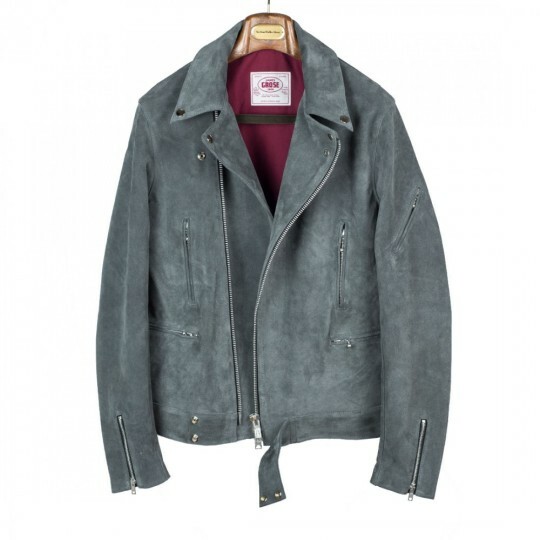 James Grose Double Rider ($868+): If you’ve ever questioned whether you have Marlon Brando’s smoldering good looks to pull off a Schott Perfecto, try this gray suede double rider from James Grose instead. They’re a recently revived British heritage brand, now run by a Japanese motorcycling enthusiast who has everything made in London’s East End. These jackets fit a bit slimmer than the workwear originals, and they comes with a bunch of great details, such as zippered arm pockets and extended belts. And despite them being clearly designed to be worn off a bike, the construction feels incredibly sturdy. The leathers are thick and heavy; the hardware reliable and chunky. Much like Levi’s trucker jackets, these look better with a bit of dirt and scuffing. Even with its workwear vibe, you can embrace a slightly more contemporary look here by pairing the gray suede jacket with slim black jeans and a boxy white knit. If the gray double rider isn’t your speed, James Grose has a bunch of other colors and styles. And until tomorrow night, No Man Walks Alone is offering a 20% discount on all full-priced items with the checkout code SPRING20. That brings the price of these down to $868. 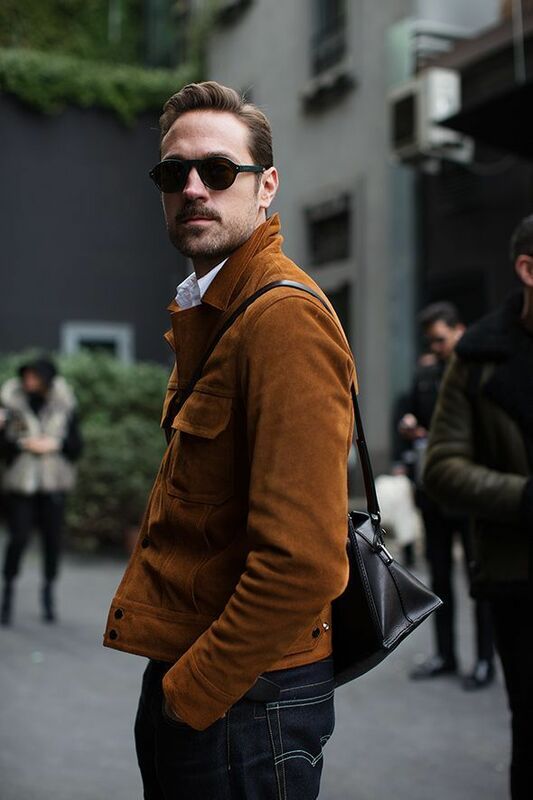 Alternatives: Gieves & Hawkes brown goatskin suede double rider for $1,275 and Stoffa’s asymmetric jackets for $1,300. 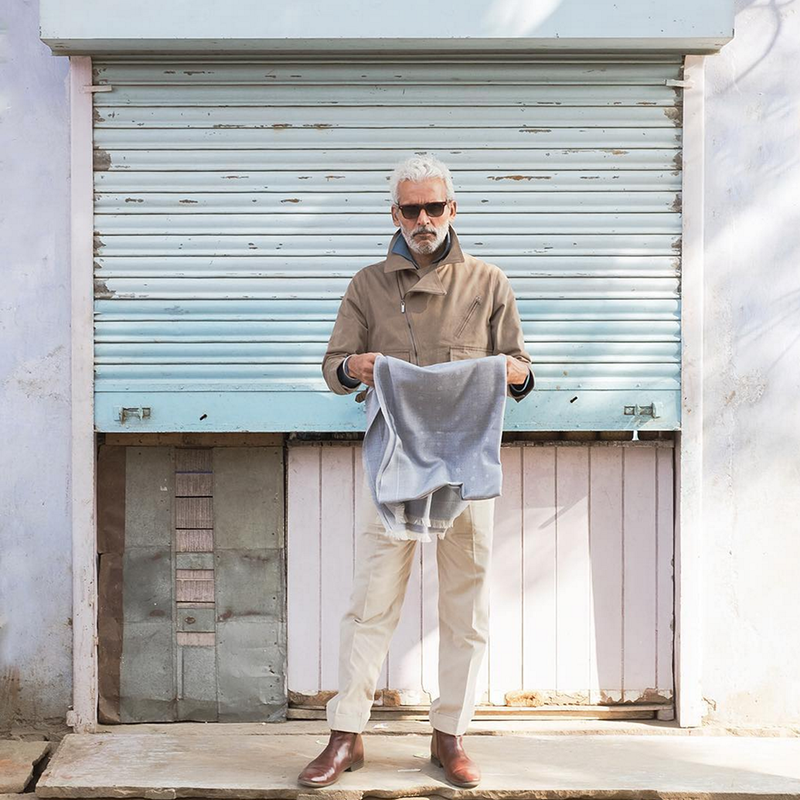 Both will feel slightly dressier and less workwear-ish than James Grose’s jackets, which will allow you to wear them with finer knitwear and pressed trousers. Valstarino ($796+): Although Valstar started off as a raincoat manufacturer, they’re mostly known today for their take on the classic A-1 blouson – a type of flight jacket defined by its button front and stand-up, knitted collar. The A-1 was originally a military flight jacket worn by American fighter pilots until it was supplanted in WWII by the A-2 (which is what most people envision when they think of flight jackets). Valstar’s A-1, known as the Valstarino, is the casual, civilian take, which makes this easier to wear in the city. 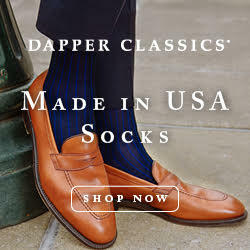 They’re made from softer materials and come in a slimmer fit, while still maintaining that slightly rounded silhouette that I think makes these special. The style goes just as well with jeans as it does with dressier trousers, which is why Valstarinos have been popular for decades. 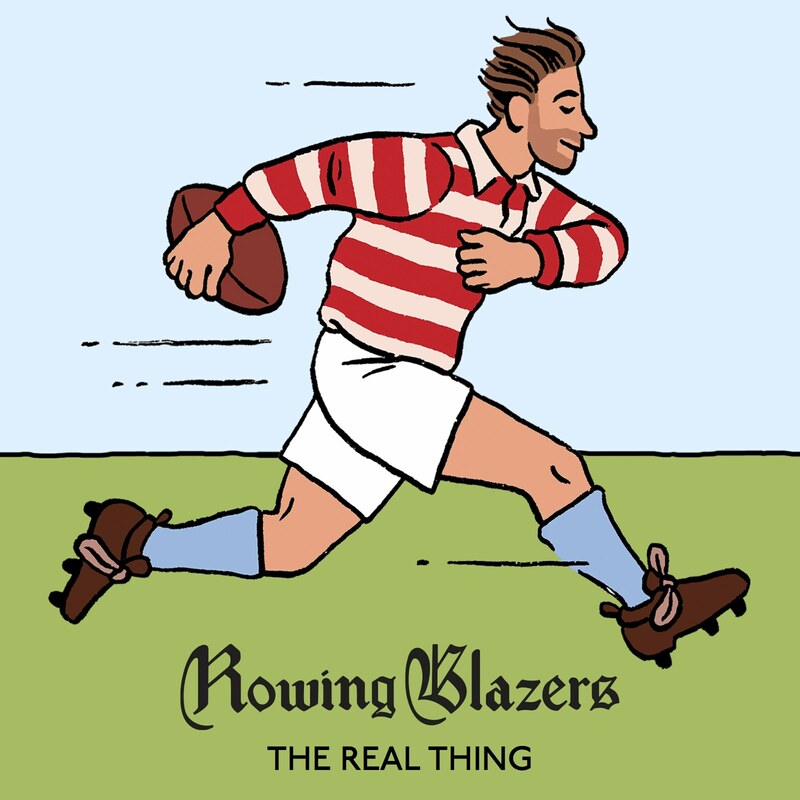 You can find them these days at No Man Walks Alone, Mr. Porter, and Drake’s. No Man Walks Alone’s SPRING20 discount code brings the price down to $796 (again, code ends tomorrow night). 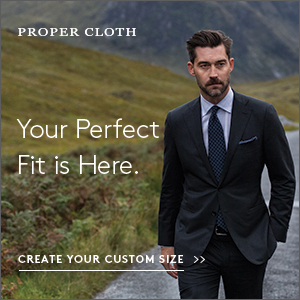 Alternatives: Craftsman Clothing can make you a custom, made-to-measure leather A-1 for $830. 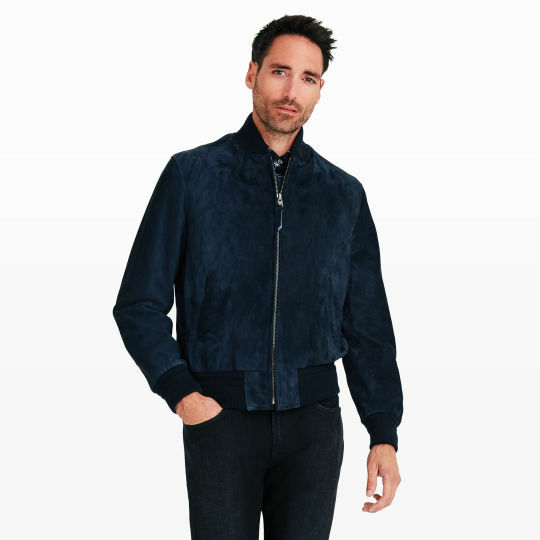 And while it’s technically not a bomber, this Brooks Brothers suede jacket looks similar and is on sale for $399. 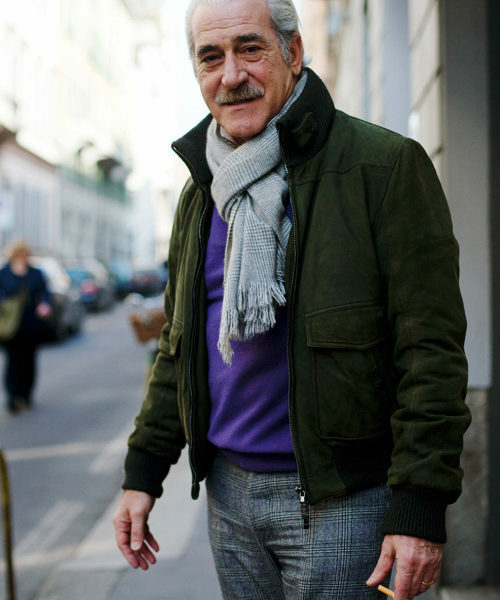 Stoffa Flight Jacket ($1,500): I love Stoffa’s flight jacket for the same reason why I like the Valstarino. 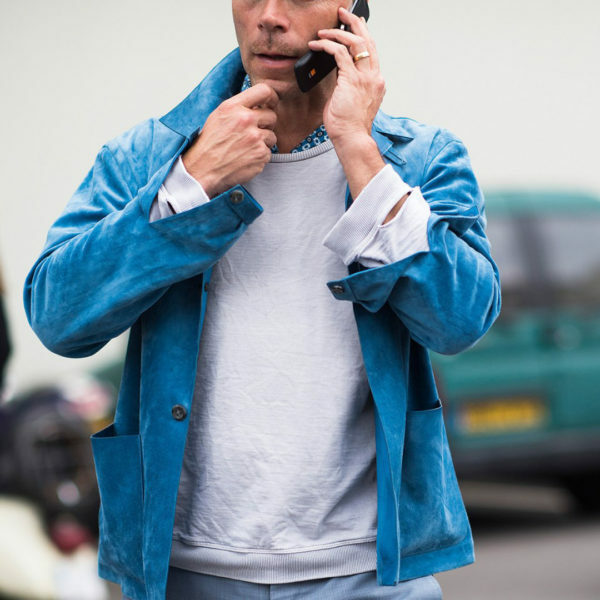 It’s easy to dress down with denim, but can also be used with wool trousers in lieu of a sport coat. The difference is that Stoffa’s design feels a bit bolder. The large, floppy collar looks great when popped up from the back, while the two-way zip gives you the ability to create more interesting silhouettes. 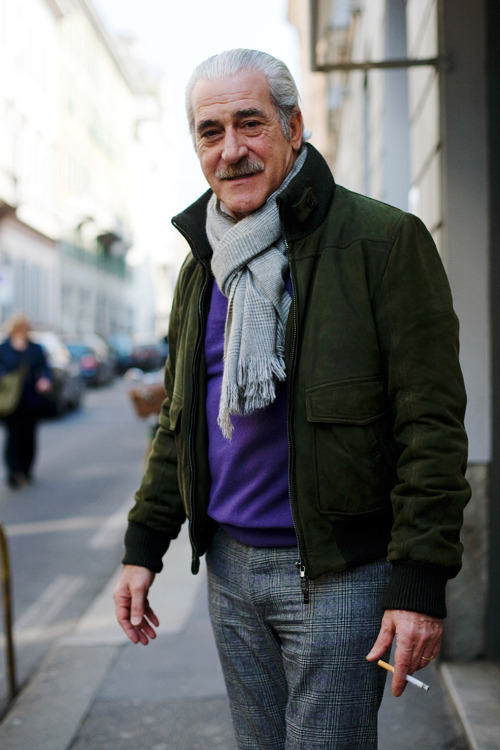 Stoffa’s flight jackets are also made-to-measure, which allows you to get a more tailored looking fit. The company has two other useful styles, including an asymmetric jacket that’s vaguely based off double riders and a field jacket for a more conservative look. All available in these uber-soft, lightweight suedes that make Stoffa especially comfortable in warmer climates. Only catch: since the jackets are all custom made, you can only order them at their trunk shows, although now they visit five major cities (Stockholm, London, Los Angeles, San Francisco, and NYC). Alternatives: Gieves & Hawkes taupe suede bomber for $1,210 and Ralph Lauren Purple Label for a whooping $3,495. Golden Bear Varsity ($433): It feels like every label offers their version of a MA-1 bomber these days. Although the originals have bulkier, rounded silhouettes, fashion labels typically cut theirs to be much slimmer and straight fitting. The style is defined by its knitted collar, zippered front, and signature arm pocket. Although, when designers leave off the arm pocket and put in slashed hip pockets, these can feel a bit like varsities. Both MA-1 and varsities are basic enough to work for almost anyone, but by the same token, they can also feel a bit generic. That said, for an affordable varsity, you can check out Golden Bear’s version shown above, which is on sale right now for $433 at Club Monaco. 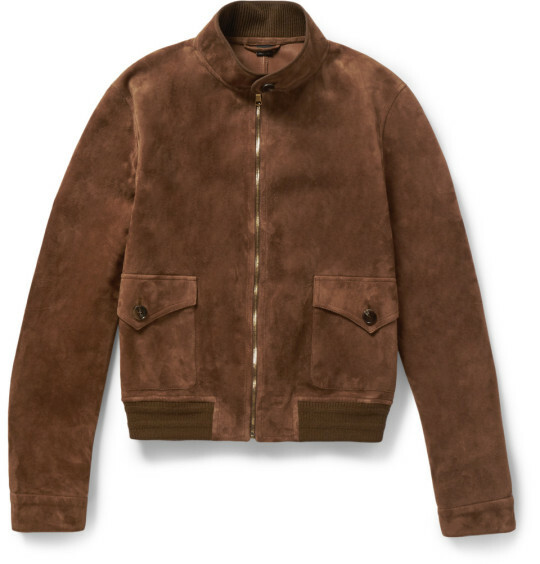 Epaulet is also moving their boutique this month from NYC to Los Angeles, and in doing so, they’ve discounted their suede MA-1 bombers down to $325. Alternatives: Basically everyone and their mother. Check APC ($1,455), Presidents ($1,723), Brooks Brothers ($698), AMI ($1,385), Officine Generale ($1,320), and Rag & Bone ($1,295). Gucci Harrington ($3,390): Once part of the uniform of British working-class youths – such as mid-century mods, skins, and soul boys, all the way up to the Britpop scene of the 1990s – Harringtons feel a lot tamer these days. More aligned with their Ivy Style roots than the British streetwear scene that gave them their edge. I like Gucci’s suede Harrington because it’s still somewhat conservative, but has a taller collar and slightly cropped body, which I think helps steer this away from golfing-dad territory. It would look great with slim trousers and a boldly printed silk shirt. The other thing that keeps this away from dad territory is the exorbitant price, which nobody would pay if they’ve ever had to manage family expenses. A jacket for financially reckless, single guys only. Alternatives: This Harrington from an old season of Saint Laurent is similar – slightly cropped, boxy fit with a taller collar. You’ll have to scour eBay and Grailed for it, however, since it’s no longer for sale in-store (expect to pay somewhere in the neighborhood of $2,000). For a much more conservative and affordable jacket, Brooks Brothers has a traditional Harrington for $698. 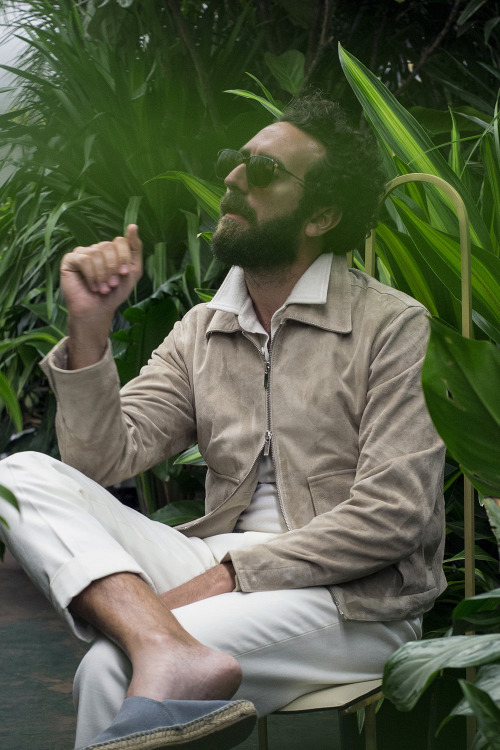 Indigofera Suede Shirt Jacket ($899): Indigofera’s suede shirt jacket is what I’d wear if I were a burly dude with a beard, or someone with rugged good looks, such as the model above. It’s a heavy, rough suede jacket with a very simple, shirt-like cut. The subtle Western-style stitching across the pockets gives this a slight cowboy vibe. Would look great worn open over a white t-shirt, along with raw denim jeans and either engineer boots or service boots. The tan color here will show marks easily, but like Levi’s and James Grose’s jackets, this will look better with heavy wear. Alternatives: Billy Reid makes a charcoal jacket in a similar style for $995. For something a little less workwear-ish and more ‘70s casual, check out Our Legacy’s lighter weight zip-front jacket for $554.